Frank Kern went from feeling like he was on a hamster wheel each month to experiencing constant growth in his business while feeling energized by what he’s working on. You can do this too! 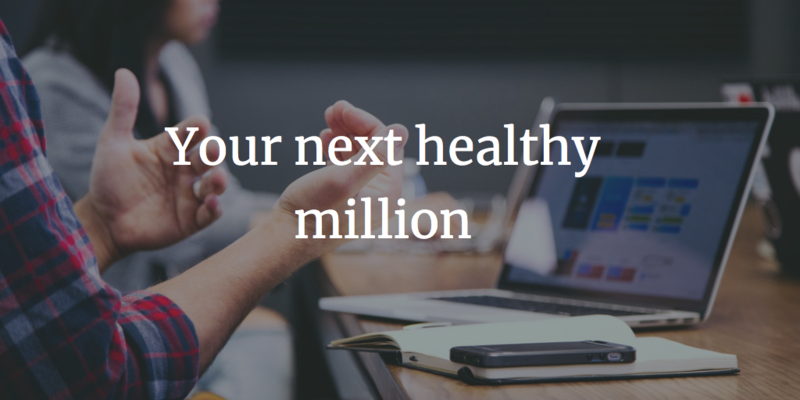 In the inaugural episode of Your Next Million, Frank Kern talks about online business and discovering your best payday.If you’re like most people in business, you’re probably doing a lot of different things all at once. Between selling, making offers, and coming up with new promotions, the business can become overwhelming and can start to drive you nuts. Frank wants to help you figure out how to do less in your business while making more and having fun. At the end of every month, Frank’s online business always seemed to have gone well but it felt like he was on a hamster wheel, trying to keep creating new products and promotions. Frank has tried pretty much every online business model you could imagine since he’s been making money online since 1999. He’s done consulting in various forms, produced a bunch of different courses, and they have all worked to some degree. But things really changed for him after he looked back through 8 years of data for all the products he had sold since 2008. The products that paid him the best, were the easiest to sell! After crunching the data, Frank realized that it had generated over $3 million dollars without him having to do much more than produce the newsletter each month. His realized that his focus back then wasn’t on the people who stuck to it as subscribers but on the people who were rejecting his offer. If he had just continued producing the newsletter consistently, he could have been producing seven figures a month. Once he learned that that kind of product was something that he found fulfilling and sold well, Frank decided to take his team and focus on producing another continuity program to the exclusion of everything else. The Kern Inner Circle program now generates over $522,000 a month in recurring revenue. This has become the hidden jewel of his business model. Frank discovered the concept of finding your best payday and now he shows other business owners how to discover their best payday. The trick is not just to find the product or service that pays you the best. Having a high paying job you hate is not what you are looking for. Your deliverable has to have a high net profit, otherwise, why are you doing it? You have to enjoy doing it and it has to energize you if you’re drained every day by what you do you are going to burn out. It has to be easy to deliver and it has to be easy to sell. The next thing to look at is learning if it sustainable. Can you keep doing it every day? The final component is can someone else do it or can it be automated? Download the worksheet and go through the exercises involved to identify where your best payday can be found in your online business. Score each aspect of your deliverables on a 1 to 5 scale, your best payday will score high in total. If you do the exercise and focus on the product or service with the highest score, it will change your business and transform your life. Frank went from feeling like he was on a hamster wheel each month to experiencing constant growth in his business while feeling energized by what he’s working on.